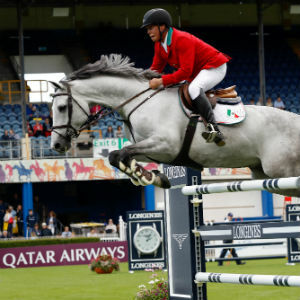 Qatar Airways is pleased to sponsor the Longines FEI Jumping Nations Cup™ of Ireland at the Stena Line Dublin Horse Show as the Official Airline Partner for the second consecutive year. The event, taking place from 8-12 August, will welcome more than 100,000 local and international visitors to see the world’s finest horses and international show jumpers from around the world. The Stena Line Dublin Horse Show, one of Ireland’s most prestigious sporting events and a celebration embedded in the Irish culture, also celebrates its 145th show this summer. Qatar Airways Group Chief Executive, His Excellency Mr. Akbar Al Baker, said: “Qatar Airways is delighted to partner once again with one of the most prestigious international equestrian events in the world, the Dublin Horse Show. As the national carrier of the State of Qatar, we are especially pleased to celebrate the love of horses that both Qatar and Ireland share. Our sponsorship of this event celebrates this common affinity, as well as our first anniversary of direct service between Doha and Dublin. The Stena Line Dublin Horse Show is one of Ireland’s most anticipated events and a highlight of the summer social calendar. The show also hosts the Longines FEI Jumping Nations Cup™ of Ireland taking place at the iconic RDS venue. The event also features the Dundrum Town Centre Ladies’ Day, where Irish elegance and style come together in inspiring competitions at the area’s premier shopping and leisure destination, the Dundrum Town Centre. In June, the award-winning airline celebrated its one-year anniversary of direct service to Dublin. The award-winning airline commenced its first flight to Dublin 12 June 2017 strengthening its ties with the Irish market while connecting passengers from Ireland to more than 150 destinations around the world. Last week, Qatar Airways also celebrated one of the highlights of the flat-racing season, the Qatar Goodwood Festival in partnership with Qatar Racing and Equestrian Club. Qatar Airways operates daily flights to Dublin with a Boeing 787 Dreamliner aircraft with 22 seats in Business Class, offering passengers direct aisle access with its 1-2-1 configuration, and 232 seats in Economy Class with a 3-3-3 configuration.